Anna's case was an extremely severe case resulting in myocarditis (inflammation of the heart), cardiomyopathy (weakening of the heart muscle), visual impairment, and global developmental delays. She went into cardiac arrest twice, as well as respiratory failure, and was on life support for 9 days. For two years, she has had to fight to relearn all the skills she had already achieved prior to becoming sick. Her mother is tireless in her efforts to maximize Anna's development, shuttling her from therapist to therapist and program to program, while at the same time raising her younger sister. Ana is certified nursing assistant and has recently had her hours cut back. She has had to withdraw her daughter, Anna from physical therapy lessons because she could no longer afford to pay for them. The program director in charge of Anna’s lessons indicated Anna had already begun to show some progress in the areas of strength, balance, and coordination with the lessons she had in the fall, and she felt strongly that Anna would continue to benefit from additional services. Based on this need, The CSL Foundation provided support to Anna to continue with lessons for 6 months. With the support of The CSL Foundation, a Massachusetts family was granted support for their daughter Allyson. 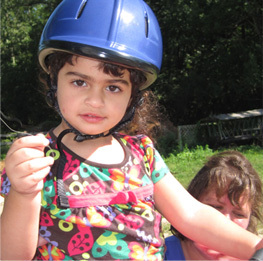 Allyson suffers from Intellectually Impaired, Language and Communication Disorder. The CSL Foundation sponsored a special needs program at the Jewish Community Centers of Greater Boston Camp for Allyson to attend. The CSL Foundation relieved a young teen Parker, who was born with Spina Bifida by supporting eight weeks of personal training so he can return to his favorite hobby, wheelchair tennis. The CSL Foundation provided financial assistance to support the Optimal Weigh for Life (OWL) program at Children’s Hospital Boston and provide five children with summer camp scholarships. With the support of The CSL Foundation, Wediko's Secret Snowman brought a little extra cheer to the holidays this year for MassSTART families. The CSL Foundation provided gift requests to 25 children in the MassSTART program in Boston Public Schools. The CSL Foundation purchased and delivered a special needs car seat to provide proper head support and comfort for a local child with Hunter's syndrome, a rare degenerative genetic disorder. The CSL Foundation provided financial assistance to support a Massachusetts family in purchasing a hand cycle for their 11 year old daughter, Julie. Julie has arthrogryposis multiplex, which is a muscle and joint disorder. The CSL Foundation provided support to The Phillips Brooks House Association’s Summer Urban Program (SUP). SUP focuses on summer learning loss, low college enrollment and graduation rates and lack of meaningful summer employment for teens facing life challenges. Our donation helped several young teens attend camps across Boston communities and improve their learning disabilities. The CSL Foundation is currently working with Marlborough Public School System to develop a health and wellness program for elementary school kids. The CSL Foundation is collaborating with administrators, fitness professionals, and Mass Eye & Ear to launch another successful program.